Stories are everywhere: balancing in trees, emerging from the recesses of alleyways, appearing like mirages out of the summer heat. If one is observant, these stories can instantly be captured, trapping them between layers with scientific sounding names like polymers, silver halides, dye developers, and others. 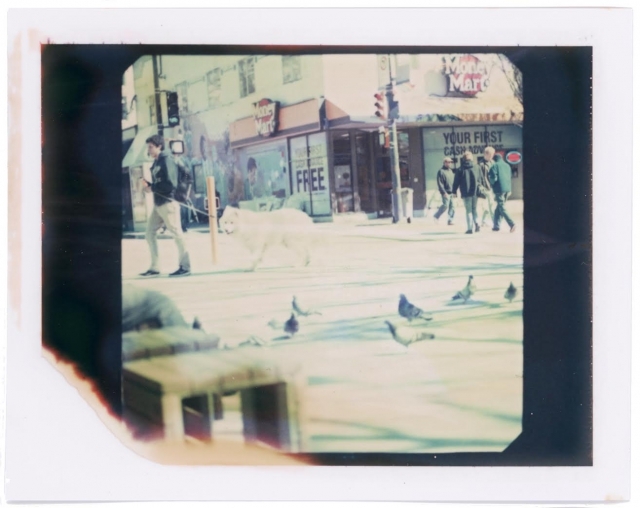 On the Spot: Instant Stories is a group exhibition that brings these stories to light. Instant film connects them, but the stories are as varied as the artists who tell them. These stories can give you a sense of otherworldliness, or maybe nostalgia, or a feeling that the world is a brighter place. The exhibition features images made on all types of instant film and explores the science behind instant photography.